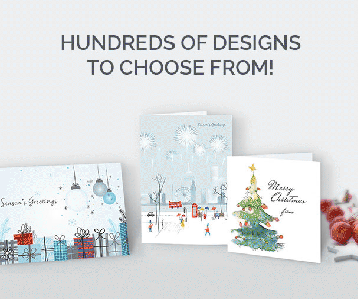 At Company Christmas Cards we contract highly dependable couriers - industry leaders DPD! which will tell you when (within a 1 hour time-frame) your cards will be delivered. They will email you once your package is on its way, and even have live tracking so you can pinpoint your parcel's location. What's more, we're now offering FREE next day delivery before November 1st (mainland UK), thereafter a fixed rate of £6 applies for mainland UK customers. (Non-mainland & international buyers will be quoted shipping at cost price). It is in customers' best interests to submit orders as early in the year as feasible. Nearer Christmas, for late orders you also have the alternative of Express Guaranteed Delivery on request. Our new online tracking system means you will be automatically emailed when your order is dispatched. For international enquiries outside the UK please see the International Customers page or Email us for a cost-price quote.